I HAVE BEEN A SUPPORTER of the Cuban Revolution for exactly fifty years and recognize Fidel Castro as one of the great revolutionary leaders of our time. But I have never been an uncritical apologist: On several crucial occasions I have expressed my disagreements in print, in public and in discussions with Cuban leaders, writers and militants. Fidel Castro’s articles and commentaries on the recent events in Colombia, namely his discussion of the Colombian regime’s freeing of several FARC prisoners (including three CIA operatives and Ingrid Betancourt) and his critical comments on the politics, structure, practices, tactics and strategy of the FARC and its world-renowned leader, Manuel Marulanda, merit serious consideration. 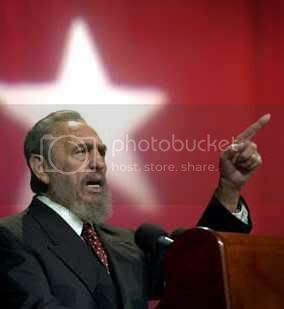 Castro’s remarks demand analysis and refutation, not only because his opinions are widely read and influence millions of militants and admirers in the world, especially in Cuba and Latin America, but because he purports to provide a ‘moral’ basis for opposition to imperialism today. Equally important Castro’s unfortunate diatribe and critique against the FARC, Marulanda and the entire peasant-based guerrilla movement, has been welcomed, published and broadcast by the entire pro-imperialist mass media on five continents. Fidel Castro, with few caveats, has uncritically joined the chorus condemning the FARC and, as I will demonstrate, without reason or logic. 1. Castro claims that the ‘liberation’ of the FARC political prisoners “opens a chapter for peace in Colombia, a process which Cuba has been supporting for 20 years as the most appropriate for the unity and liberation of the peoples of our America, utilizing new approaches in the complex and special present day circumstances after the collapse of the USSR…” (Reflections of Fidel Castro, July 4, 2008). What is astonishing about this thesis (and the entire essay) is Castro’s total omission of any discussion of the mass terror unleashed by Colombia’s President Uribe against trade unionists, political critics, peasant communities and documented by every human rights group in and out of Colombia in both of his recent essays. In fact, Castro exculpates the current Uribe regime, the most murderous regime, and puts the entire blame on ‘US Imperialism’. Since the “collapse of the Soviet Union”, and under the US-led military offensive, a multitude of armed revolutionary movements have emerged in Lebanon, Palestine, Iraq, Afghanistan, Nepal, and other pre-existing armed groups in Colombia and the Philippines, have continued to engage in struggle. In Latin America, the “new approaches” to revolution were anything but peaceful – massive popular uprisings overthrowing corrupt electoral politicians in Argentina, Bolivia, Ecuador, Venezuela…costing many hundreds of lives. The “liberation” of Betancourt has strengthened the iron fist of the Uribe regime, increased the militarization of the countryside, and covered up the on-going death squad murders of trade unionists and peasants. Contrary to Fidel Castro, the US and Colombia’s death squad president have used their ‘success’ to buttress their arguments in favor of joint US-Colombian military action. Fidel’s celebration of the Colombian regime’s action as an “opening for peace” serves to deflect attention from the Colombian Supreme Court decision claiming that the re-election of Uribe was illegal because of the tyrant’s bribing Congress people to amend the constitutional provision allowing the president a second term. 2. Fidel Castro denigrates the recently deceased leader of the FARC, Manuel Marulanda, as a “peasant, communist militant, principle leader of the guerrilla” (Reflections). In his text of July 5, 2008 (Reflections II), Castro condescendingly refers to “Marulanda of notable natural intelligence and leadership qualities, on the other hand never had opportunities to study when he was an adolescent. It is said he only finished the fifth grade. He conceived (of the revolution) as a long and prolonged struggle, a point of view which I never shared.” Castro was the son of a plantation owner and educated in private Jesuit colleges and trained as a lawyer. He implies that education credentials and higher status prepares the revolutionary leadership to lead the peasants lacking formal education, but with ‘natural leadership qualities’ apparently sufficient to allow them to follow the intellectuals and professionals better suited to lead the revolution. The test of history however refutes Castro’s claims. Marulanda built, over a period of 40 years, a bigger guerrilla army with a wider mass base than any Castro-inspired guerrilla force from the 1960’s to 2000. Castro promoted a theory of ‘guerrilla focos’ between 1963-1980, in which small groups of intellectuals would organize an armed nucleus in the countryside, engage in combat and attract mass peasant support. Every Castro-ite guerrilla foco was quickly defeated – wiped out – in Peru, Venezuela, Brazil, Uruguay (urban focos), Bolivia and Argentina. In contrast, Marulanda’s prolonged guerrilla war strategy relied on mass grass roots organizing based on close peasant ties with guerrillas, based on community, family and class solidarity, building slowly and methodically a national political-military people’s army. In fact, a serious re-examination of the Cuban revolution reveals that Castro’s guerrillas were recruited from the mass of urban mass organizations, methodically organized prior to and during the formation of the guerrilla foco in 1956-1958. Although reliable figures on the FARC are available, Castro underestimated by half the number of FARC guerrillas, relying on the propaganda of Uribe’s publicists. 3. Castro condemns the ‘cruelty’ of the FACR tactics “of capturing and holding prisoners in the jungle.” With this logic, Castro should condemn every revolutionary movement in the 20th century beginning with the Russian, Chinese and Vietnamese revolutions. Revolutions are cruel but Fidel forgets that counter-revolutions are even crueler. Uribe established local spy networks involving local officials, as was done in Vietnam during that war. And the Vietnamese revolutionaries eliminated the collaborators because they were responsible for the execution of tens of thousands of village militants. Castro fails to comment on the fact that Ms. Betancourt, upon her celebrated ‘liberation’ embraced and thanked General Mario Montoya. According to a declassified US embassy document, Montoya organized a clandestine terrorist unit (‘American Anti-Communist Alliance’), which murdered thousands of Colombian dissidents, almost all of them ferociously tortured beforehand. The ‘cruelty’ of FACR captivity did not show up in Betancourt’s medical exam: She was in good health! 4. Fidel claims “Cuba is for peace in Colombia but not US military intervention”. It is the Colombian oligarchy and Uribe regime, which has invited and collaborated with the US military intervention in Colombia. Castro implies that US military intervention is imposed from the outside, rather than seeing it as part of the class struggle within Colombia, in which Colombia’s rulers, landowners and narco-traffickers play a major role in financing and training the death squads. In the first 6 months of 2008, 24 trade union leaders have been murdered by the Uribe regime, over 2,562 killed over the past twenty years since what Castro describes as the “new roads of complex and special circumstances.” Fidel totally ignores the continuities of death squad murders of unarmed social movement activists, the lack of solidarity from Cuba toward all the Colombian movements since Havana developed diplomatic and commercial ties with the Uribe regime. Is balancing between Cuba’s state interest in diplomatic and economic ties with Colombia and claiming revolutionary credentials part of the “complexities” of Cuban foreign policy? 5. Castro calls for the immediate release of all FARC-held prisoners, without the minimum consideration of the 500 guerrillas tortured and dehumanized in Uribe’s and Bush’s horrendous high security ‘special prisons’. Castro boasts that Cuba released its prisoners captured during the anti-Batista struggle and calls for the FARC to follow Cuba’s example, rather than the Vietnamese and Chinese revolutionary approach. Castro’s attempt to impose and universalize his tactics, based on Cuban experience, on Colombia lacks the minimum effort to understand, let alone analyze, the specificities of Colombia, its military, the political context of the class struggle and the social and political context of humanitarian negotiations in Colombia. 6. Castro claims the FARC should end the guerrilla struggle but not give up their arms because in the past guerrillas who disarmed were slaughtered by the regime. Instead, he suggests they should accept France’s offer to abandon their country or accept Chavez’ (Uribe’s ‘brother’ and ‘friend’) proposal to negotiate and secure a commission made up Latin American notables to oversee their integration into Colombian politics. What are ‘armed’ guerillas going to do when thousands of Uribe’s soldiers and death squads ravage the countryside? Flee to the mountains and shoot wild pigs? Going to France means abandoning millions of starving vulnerable peasant supporters and the class struggle. 7. Fidel Castro totally omits from his discussion the manner in which every political leader involved in the ‘humanitarian mission’ used the celebration of Betancourt’s ‘liberation’ to cover up and distract from their serious political difficulties. First and foremost, Uribe’s re-election was ruled illegal by the Colombian Supreme Court because he was accused and convicted of bribing members of Congress to vote for the constitutional amendment allowing his running for a second term. Uribe’s presidency is de facto illegal. Betancourt’s release and delirious embrace of Uribe undermines the judicial verdict and eliminates the court injunction for a new Congressional vote or national election. Sarkozy’s popularity in France was in a vertical free fall, his highly publicized intervention in the negotiations with the FARC were a total failure, his militarist policies in the Middle East and virulent anti-immigrant policies alienated substantial sectors of the French public (as did rising prices and economic stagnation). The release of Betancourt and her effusive praise and embrace of Sarkozy revived his tarnished image and gave him a temporary respite from the burgeoning political and economic discontent with his domestic and foreign policies. Cuba, or at least Fidel Castro, used the ‘liberation’ of Betancourt to display his long-term hostility to the FARC (dating at least from 1990) for embarrassing his policy of reconciliation with the Colombian regime. 8. Striking a humanitarian and quasi-electoral posture in celebrating Betancourt’s release, Castro lambasted the FARC for its ‘cruelty’ and armed resistance to the terrorist Uribe regime. Castro attacked the FARC’s ”authoritarian structure and dogmatic leadership”, ignoring FARC’s endorsement of electoral politics between 1984-90 (when over 5,000 disarmed activists and political candidates were slaughtered), and the free and open debate over policy alternative in the demilitarized zone (1999-2002) with all sectors of Colombian society. In contrast, Castro never permitted free and open debate and elections, even among communist candidates in any legislative process – at least until he was replaced by Raul Castro. The above mentioned political leaders were serving their own personal political interests by bashing the FARC and celebrating Betancourt at the expense of the people of Colombia. Has Castro clearly thought through the disastrous consequences for millions of impoverished Colombians or is he thinking only of Cuba’s possible improvement of relations with Colombia once the FARC is liquidated? The effect of Castro’s anti-FARC articles has been to provide ammunition for the imperial mass media to discredit the FARC and armed resistance to tyranny and to bolster the image of death squad President Uribe. When the world’s premier revolutionary leader denies the revolutionary history and practice of an ongoing popular movement and its brilliant leader who built that movement, he is denying the movements of the future a rich heritage of successful resistance and construction. History will not absolve him. James Petras, a former Professor of Sociology at Binghamton University, New York, owns a 50-year membership in the class struggle, is an adviser to the landless and jobless in Brazil and Argentina, and is co-author of Globalization Unmasked (Zed Books). His latest book is “The Power of Israel in the United States” (Clarity Press, 2006). He can be reached at: jpetras@binghamton.edu. It seems Castro and Chavez are looking to paint the Socialism of the 21st century with a “Democratic” flavor that will generate worldwide legitmacy and sympathy in the eyes of those who view justice through a bourgeois lens. Liv ing up the expectations of the hyporitical bourgeoisie is a difficult road to travel, and it seems that just maybe Castro and Chavez are proceeding with too much caution in light of the recent successes in Boliva with Morales etc.. Appeasing bourgeois sensibilities in order to gain international sympathy may fall into the catagory of “liberal” ideology. Mao would not approve. The class struggle is real, let it erupt…Everytime we (Socialists) try and please their sensitive stomachs we diminish the power of our message, and the the soul which makes Socialism brutally honest, despite who wants to hear what we have to say. I think JAMES PETRAS and Democracy now offering a sound rebuttal, the question is will anyone hear it? I love to trust the instincs of Fidel, he makes me feel more secure in my views. However, I think they should tone it down a bit? *Instincts & *offered – not a good idea to type tipsy.